Convoy working is expected to be in place on the A90 between Blackdog and Balmedie this weekend to enable workers to carry out essential white-lining works. The overnight convoy is expected to be in place from around 10pm on Saturday, July 21, until 6am the following morning. Convoy working will again be in place from around 10pm on Sunday, July 22, until 6am on Monday, July 23. In addition to these works, the A90 southbound diverge slip road at Balmedie Junction will be closed from around 8pm on Friday, July 20, until 6am on Saturday, July 21, for finishing and surfacing works. Diversions for the slip road closure will be signposted. 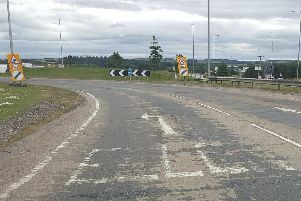 Road users who would normally use this slip road should continue south on the A90, exiting at the new Blackdog Junction. They should then follow the junction round until they can re-join the A90 northbound to travel back to Balmedie Junction. These works are weather dependent and may be subject to change at short notice. 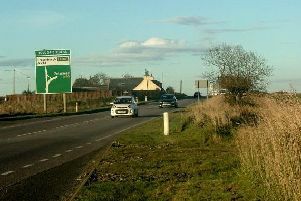 A Transport Scotland spokesperson said: “These traffic management measures on the A90 between Blackdog and Balmedie will enable the contractor to undertake necessary white-lining works, while additional works on the A90 Balmedie southbound diverge will allow finishing works to be carried out on the slip road. “As these works will bring drivers into close proximity with road workers, we would like to encourage road users to apply more caution than usual when driving through or nearby this section of the A90. Road users should also observe all road signage to enhance their safety, as well as the safety of others. “Anyone planning to use the A90 between Blackdog and Balmedie during this period should build in the possibility of a short delay so that they can reach their destination on time.